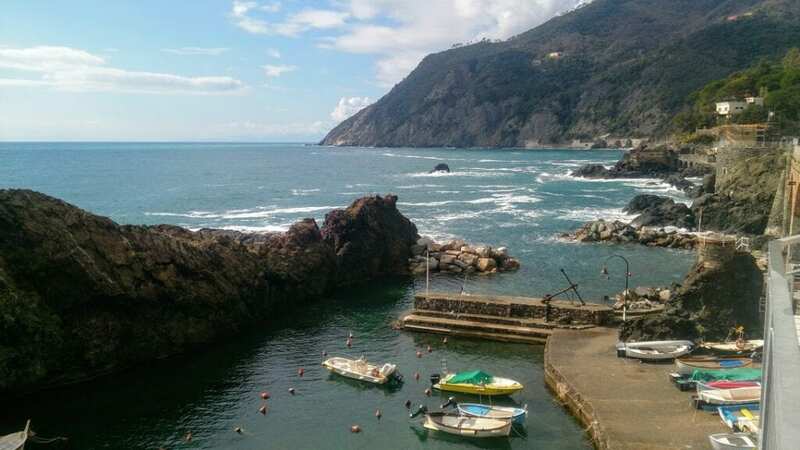 Framura, on the Ligurian coast, sitting on the Levante Bay neighboring Cinque Terra, is a three-hour drive from Milan and the perfect place for fresh air, fresh fish and the fresh waters of the Mediterranean. As the cold frost of winter starts warming up and the days start getting longer, it is quite common for the Milanese to go away for the weekend. In some ways, it’s nice, as you can enjoy a lazy Sunday in the city and take it easy. But, when the weather is pleasant, and springtime is in the air, a trip to the sea is a great way to start up the new season. We found all of this in Framura, Liguria, a coastal village neighboring Cinque Terre. Found between Portofino and Cinque Terra, Framura is a village dating back to medieval times set on the rocky coastline of Liguria. The village expands from the sea to Monte Serro up to 400 meters above sea level. It’s made up of the beaches below and five hamlets: Anzo, Ravecca, Setta, Costa, Castagnola that sit along the winding road which snakes up the mountain. Historically, each hamlet was once considered an independent settlement within a protected castle; hence, the main church being dubbed ecclesia Sancti Martin infra mura (Saint Martin church within the walls). There are also three towers, once used as lookout points to spot pirates and other enemies arriving by sea. Framura is one of the towns that has been selected by the prestigious association I Borghi Più Belli d’Italia (The Most Beautiful Villages of Italy) which carefully chooses a limited number of small towns throughout the country that offer certain qualities and standards. There is a gorgeous new boardwalk along the sea and a cycle lane connecting the towns of Levante Bay. The entire area is abundant with untouched nature and hiking trails. There are superb restaurants serving traditional cuisine, fresh fish and local delicacies. We set off for the 229 km drive from Milan on a Saturday morning about 10 a.m. in late March and luckily did not run into any traffic. If you go in the spring or summer months, it would be wise to leave early, as there will be more traffic heading in the Italian Riviera direction. Get the A7 highway to the A12 highway (See road directions below). We stopped along the way for a coffee break, and then a bit further on, we stopped to get some Focaccia, a specialty from this region. Focaccia is a soft, fluffy, salty bread with cheese (very different from pizza). We sat by the seaside for a bit and then arrived in Framura in the early afternoon. After winding up the road to the hamlet Costa, we got to the parking lot of our hotel, Albergo Silvia. The entrance is an unassuming bar/café, the kind of place you would pop into for quick coffee or to sit and rest for a few minutes under the shady umbrellas for a refreshing drink. But as the weekend progressed, we discovered that café Silvia had more of a tavern atmosphere to it, where friends would meet and chat, play a game of Bridge, or have a beer after a tennis match and enjoy some time together. It never got noisy or rowdy; in fact, it was very quiet during the night. Through a door, down a hall there are rooms. We were in room n.10 at the far end of the corner. There was a view of a back garden and we could see the sea in the distance. What I loved about the hotel room was the cleanliness and the excellent water pressure. Water pressure is one of my pet peeves when staying in a hotel. I like a shower with elbowroom and good pressure- this had both. The staff was friendly and we had a comfortable stay there. We started getting a bit peckish, so Enrico drove us up 300 m above sea level to the agroturismo (farm house inn) called La Foce del Prato run by the Bennati family. There was a wedding reception that day and we couldn’t sit in the main dining room, so we were invited to the wine making shed and had our aperitif surrounded by fermentation vessels! They not only have a full vineyard, there is a complete vegetable garden for all their fresh produce, goats, rabbits, chickens and other livestock. It’s a fully functioning vineyard and farm. Everything they serve, they get from their own land or from their neighbors’. Mrs. Bennati and her daughter prepared plates of local delicacies; anchovies, homemade breads, pizza and focaccia, and a savory chard pie. Meanwhile Mr. Bennati decantered a bottle of his 2015 red wine which he explained was 70% Merlot and the remaining 30% of Cabernet, Cherry and other grapes. He also offered a taste of his white wine and Passito (sweet dessert wine) with homemade Fig Pie. More, please! Everything was homemade quality and flavors you cannot find in the big cities. They were all so welcoming, it felt like we were visiting relatives rather than having an early evening aperitivo at a restaurant! It started getting dark and the wedding party had already gone home; it was time to go. La Foce del Prato also has rooms, which would be very convenient after a full meal and bottle of wine! Out of curiosity, I asked to see one and was shown rooms A and B, which are the nicest ones with private little gardens. We headed back to the hotel where we rested before going down to dinner. There are many dining options in Framura offering fresh produce, fresh fish, local wines and homemade breads and desserts. We had done some research and had found that the Ristorante Silvia at our hotel was in the top five. A work colleague and our guide both confirmed it. Pesto is a specialty of Liguria, and one of my favorites, so I had to have some. We had homemade pasta with pesto, homemade pasta with a rich seafood sauce, whole grilled anchovies with rosemary and lemon and breaded and fried anchovies. Accompanied by a lightly, bubbly, white house wine and for dessert a meringue covered in chocolate sauce. The chef, Stefano stayed in the kitchen attending to his orders, but the American tourist in me wanted a picture with the man who filled my belly. We thanked him in person for a wonderful meal and headed back up to the room for the night. The bells of San Martin ring at 7:30 am. The tower is far enough away and the chimes are low, reminding you that you are in an old medieval town. A breakfast buffet was served in a separate nook near the bar with fresh brioche, homemade cakes, fruit, yogurt and even focaccia. We were told it is very common to have salty focaccia for breakfast; people even dunk it in their coffee. They call it “rompe digiuno”, which means “break the fast”, in other words, “breakfast”. One of our goals this weekend was to jump start our summer exercise routine, so we went for an early morning run along the cycle path. The lanes are inside the old train tunnels and connect Framura to the towns along the Levante Bay. You can rent a bike at the station, run or walk it. Access to the pathway is at the Porticciolo marina. Go up the steps or use the elevator. We jogged the distance to the next town Bonassola and return, which was more or less 6k total. To go the full distance to Levante and back would be about 11k. The tunnel seems long and dark, but about every 500 meters or so, there are stretches of open porticos looking out to the rocky shoreline and cobalt waters below. There are even benches to sit, rest and meditate. The Porta Pidocchio beach is off the bike path and is a quiet, secluded beach. Time to replenish those burnt calories! The food tour is organized by The Framura Tourist Association and is guided by Enrico, local guide and historian. We had done a mini-tour the previous day and today we will be seeing more of the town. You can book the food tour privately or in a group through the association website. The tour takes you through the old village of Costa, and on some days a visit to the antique tower of San Martin is on the program. After climbing sixty, steep, stone steps, we visited the top of the windy tower, which has spectacular views of both sides with panoramic vistas of the sea and the mountain. The tour continues down the historical, narrow streets of town, which are closed to traffic. The paths zigzag alternating between flat and downhill cobblestoned alleyways and steps. We pass through the neighborhoods and of course, with only 600 residents, Enrico knows everyone and cordially stops to greet people along the way. I asked “What happens when somebody in town gets married? Is the whole town invited?” He chuckled, “Ha! Si! E’ un bel problema!” (Ha! Yes, it’s a real problem!”). We made our first gastronomic stop at Enrica Le Cose Buone (Enrica’s Good Things) a mini market and delicatessen. Everyday Enrica wakes up early and prepares daily specials that are ready to take away or she’ll heat it up for you and you can eat in her garden overlooking the town below. The shop counter is full of appetizing temptations. We tried a little bit of everything; Lasagna al pesto, Focaccia with squacquerone cheese, chick peas and chard, cuttlefish and peas, and a taste of octopus and potato. Of course it’s not complete without a local, vermentino white wine; Colli di Luni from nearby La Spezia. To top it off, a taste of her homemade cakes and her specialty Crema di Limone, a creamy liquor made with cream, milk, lemon and alcohol. Like the sign says; “Le Cose Buone”!. Enrico expertly tells us about the history, traditions and folklore of the villages. We pass the second tower, and then through Casella which was once the ancient toll crossing for merchants and travelers descending to the sea or acceding to the mountain. The path passes through Ca’ di Mare vineyard where we meet Emilio, the wine maker. He only stopped to say hello and went straight back to work. It’s early in the season and the vines are still bare, but with the nice weather on its way, they will be lush and blooming in no time. We continued the walk down the hill pausing to take in the view. The hamlet of Anzo was very intriguing. The roadway widened and in the midst of the rugged terrain and humble rural landscape there was an entire neighborhood of grand villas where the noblemen and aristocrats once had their dwellings. The buildings are still used as homes today. We meandered along the alleyways and narrow lanes passing the third watchtower and then lastly exiting out near the station. Down the road from the Framura station is the Porticciolo marina. On the rock face above the marina is the L’Agave restaurant. It was time for lunch, so what better place than above the cliff overlooking the marina? L’Agave is an upscale wine bar and restaurant at the marina called il Porticciolo in Framaura. The view is extraordinary from the terraces overlooking the colorful fishing boats below and out to the rock of the Madonna (Virgin Mary), who vigilantly protects the gulf of Framura. We were looking forward to trying some Ca’ di Mare wine, and without a doubt, they offer all the wines of the local producers. It was chilled to the perfect temperature and was smooth and supple; incredibly enjoyable! There just happened to be a table of sommeliers next to us and they approved highly of our selection! A wine tasting is not complete without house specialties and a lesson on the traditions of Ligurian cooking. Marco Rezzano, owner and chef of L’Agave, showed us a huge string of garlic, explaining that only fresh local ingredients can be used. With a wink, he proudly pointed out that because of his location; he gets first dibs on the fresh fish that comes into the port. He prepared fresh anchovies with organic olive oil and garlic, amazing calamari with artichokes, the most awesome octopus I have ever tried and “just because he felt like it” a plate of spaghetti topped with anchovy and dusted with breadcrumbs. The unforgettable finale was the Cinque Terre Sciacchetra’ (pronounced SHA-ke-TRA) a sweet dessert wine from the Bonfiglio winery. It was a 2014 and we were told, that there were only 1000 bottles made. Somewhere out there in the world, there are 999 other bottles that have been (or will be) enjoyed by some very lucky people! It was a true honor to have tried Sciacchetra’. It is an amber, golden sweet wine with hints of spice that goes down so smoothly it takes effort to control the next sip. Dessert was a traditional recipe he learned from his grandmother. Fritelle di Castagne, (Chestnut fritters) made with chestnuts and chestnut flour, sprinkled with sugar. The running and walking was not enough for my husband, Fabio. He had to play tennis too! We met Francesca Lanata, director of the Framura sports club and F.I.T. (Italian Tennis Federation) tennis instructor. The tennis club is in Costa, high above the hill overlooking the sea. There’s a beach volleyball court, soccer field and two hard-court tennis courts. I sat enjoying the match with other local spectators. The sun started setting as the two contestants shook hands at the end of the match. It was time to head back to Milan. We would certainly recommend a visit to Framura! From Milan, 229 km – get the A7 autostrada (highway) going south toward Genova (Genoa), then get the A12 autostrada (highway) going south toward La Spezia and exit at Deiva Marina and follow the signs that say “Framura loc. Costa” about 15 minutes. From Genova (Genoa), 69 km – get the A12 autostrada (highway) going south toward La Spezia and exit at Deiva Marina and follow the signs that say “Framura loc. Costa” about 15 minutes. From Pisa, 108 km – get the A12 autostrada (highway) going north toward Genova (Genoa) and exit at Deiva Marina and follow the signs that say “Framura loc. Costa” about 15 minutes. There is a train station in Framura, on the Genova-Pisa line. From Milan the fastest route is to Sestri Levante and then change to a local train to Framura (there are other connections but not as frequent). The station is near the seaside and you can get a bus to upper Framura (Anzo, Ravecca, Setta, Costa and Castagnola). Tip: When booking a hotel or house rental, ask what part of Framura it is in so you can ask the bus driver to let you know where to get off or simply ask them if they have a pick-up service. Fly to Cristoforo Colombo Genova Airport (distance 74.7 km.) or Galileo Galilei Pisa Airport (114 km.). All photos by Celia Abernethy/Milanostyle.com. 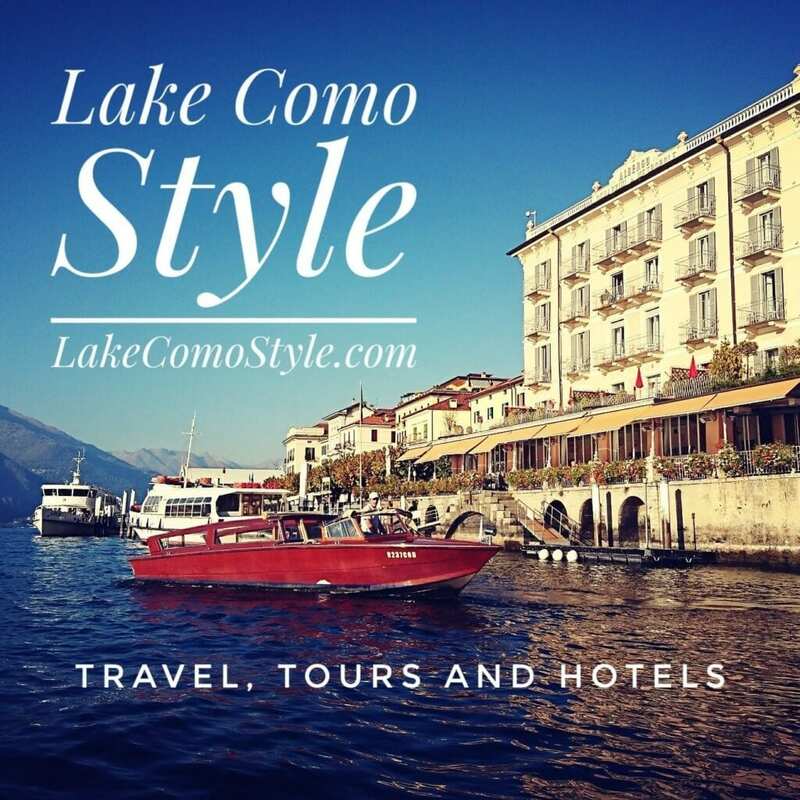 Many thanks to the Associazione Framura Turismo who kindly invited Milanostyle.com to experience the colors and flavors of their town. All opinions of the author’s experience are her own and have not been influenced in anyway.